Following decision by new Paraguayan president to move embassy from Jerusalem to Tel Aviv, Israel cancels economic delegation to Paraguay. Israel’s Economics Ministry cancelled a planned visit to Paraguay by a delegation of Israeli economists, as part of the ongoing diplomatic dustup following Asunción’s decision to relocate Paraguay’s embassy in Israel from Jerusalem to Tel Aviv. In May, Paraguayan President Horacio Cartes inaugurated his country’s new embassy in Jerusalem, following similar moves by the US and Guatemala. Last week, however, Paraguayan Minister of Foreign Affairs Luis Castiglioni announced that the embassy would be moving back to Tel Aviv, something he hoped would “contribute to an intensification of regional diplomatic efforts” towards a lasting peace agreement. 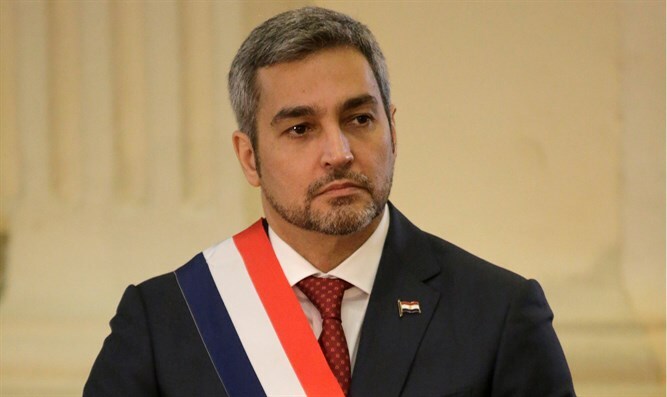 The decision to move the embassy back was reached by Paraguay’s new president, Mario Abdo Benitez, following pressure from Arab leaders and Turkey, who argued that the move would help spur peace talks in the region. On Wednesday, it was announced that Economics Minister Eli Cohen (Kulanu), had cancelled a trip by a ministry delegation to Paraguay planned for this coming December. The delegation was intended to work towards strengthening economic ties between the two countries, and aiding Paraguay’s economic development.